WeObservatory and UniversalDoctor mentioned in an article mHealth Competence Center has published on the Virtual Nurse pilot initiative taking place Sant Joan de Déu Hospital, a center recognized for its ability to innovate in patients’ care and healthcare management. Some mobile applications are mentioned by the interviewed nurse, including the UniversalNurse Speaker. 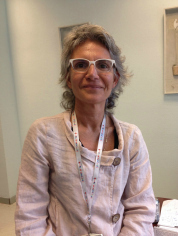 “This field is getting used to the change that ICT mean”, says Emma Gómez, Nursing Department director in Sant Joan de Déu Hospital (HSJD). “ITC mean a change of paradigm for nurses. On the one hand, communication with patients and their relatives has changed: online consultations are more convenient for patients and it is a two-way communication. It is a new kind of relationship, no better or worse. However, a physical consultation can not be compared to a virtual one”, explains Gómez. “On the other hand, ITC allow professionals to manage their time more efficiently”. Read further the “Nursing, a profession transformed by technology” article here.